Challenge 08: Welding. Too often we see metals in CG which aren't welded at all. It's a fairly complex problem shading wise, since often the UV cuts placed where the welding should be at. Whilst it would make sense to add geometry for this, this is not allowed in this shading challenge. Let's solve this issue once and for all, and figure out how to do this properly and procedurally. Feel free to tag shaders.xyz in your social media posts, we now have a Facebook, Twitter and Instagram. The deadline of the challenge is on the 1st of May, 00:00 GMT. Good luck everyone! [Download]https://www.dropbox.com/s/n3wses9wnuz2qtl/shadersxyz_challenge_10_welding_package_001.zip?dl=0) and extract the .zip package. Download this HDR. Big thanks goes out to Greg at HDRIHAVEN for open-sourcing his work. Big up! His journey into crowdfunded work is pretty interesting, read it if you find a spare moment! Rotate the HDRI by 180 degrees horizontally. That's all! The winner gets picked by the admin team on the 1st of May, 2019 and will receive an exclusive SHADERS.XYZ t-shirt (hype!). Don't forget to motivate others by voting for your favourite submission! Good luck everyone! Hi I'm new here and want to start doing these challenges. how can I put this in 3DS and use Vray? I tried importing it but the geometry doesn't render correctly. MrSmurfette Import alembic mesh. Simply just click on import in main menu of 3ds max. I have a trouble with creating proper curvature map in Corona, but I guess I would have to go away from procedural workflow, unless I figure it out. I am talking about flat parts of seams. They simply does not want to map, even tho I re-created smoothing groups properly. A bit roughly ground, but still to be polished in next rev . Does anyone have idea how to map the seams without using geometry perhaps? Hey guys, a quick try from my side! Unfortunately I wasnt able to filter the proper part out proceduraly, but I needed to use vertex colors. Let's see if I get some ideas from you guys, how to improve! Just wanted to write down a little algorithm that could be promising. I'll see if I can find the time to implement this into an OSL shader. TomaszDabert Dobra robota ! It is a shame that there is no fully procedural way to map those seams atm... Btw zeno it would be great with that script. Alternatively I was thinking about simply detaching splines from the geometry. That way you have 100% of control over welder. Hello everybody! This is my first try at shading challenge although I have been following this site for quite awhile. First approach to welding shader was quite obvious - curvature as base mask. 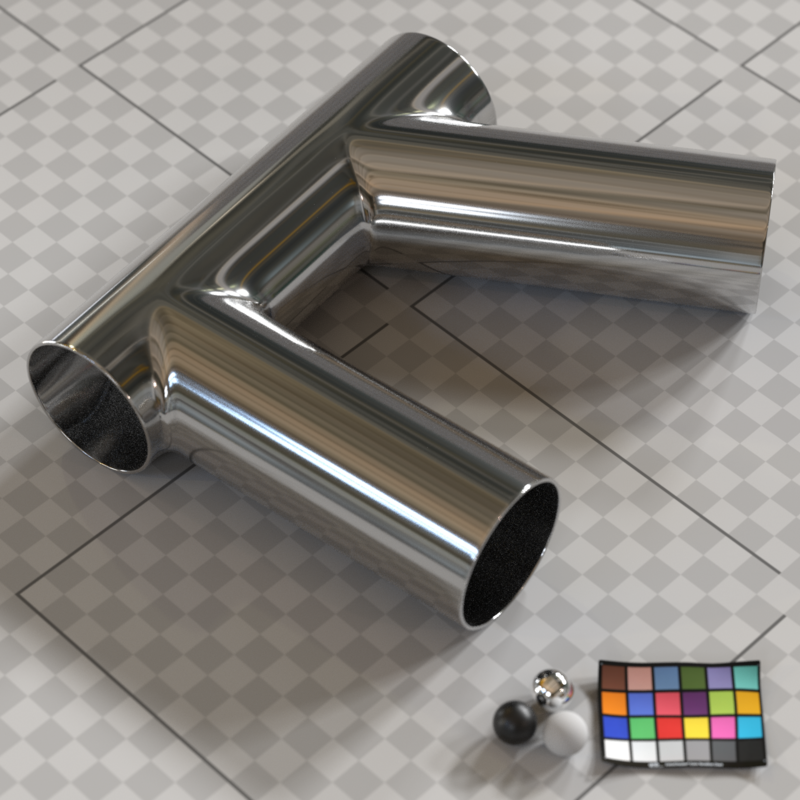 The first problem appeared with the curvature node in Redshift not getting the whole area around the pipe's connection since the top and bottom is sort of flat. I decied to "cheat" a bit and create curvature attribute with few Houdini nodes based on the UV seams. I create curves out of seams and then transfer attributes onto them from the custom curvature node. Based on that I can choose which seams are concave and which are convex. Later I transfer attributes from welding seams onto geo and use that as a custom masking attribute in Redshift for shading. This approach works well with a geometry with proper UVs. I have been looking into this challenge for one of out artist. As i inspected alembic file, there are two models, one that is simpler to use and one tricky. The simple one to use is pipe_doublecut_geo. I would suggest to look at its UVs first. Curvature map from shader will not work as you already discovered. Also if im not mistaken, it would not work work Arnold, where displacement happens first and then curvature is called. Thus you cant take curvature and feed it into displacement. If you look at UVs, you will see that the seam/weld area is already provided to you on UVs as separate island. That narrows task to isolate it on UV level, then blur it multiply with noise etc. Hope that gives some good starting point. I implemented earlier mentioned algorithm in OSL, taking curve points as an input. I will post more details when I clean things up a bit. Hi zeno , it looks really great already ! I Can you or someone point me out some link/tuto about how to use/start with OSL (maya Arnold or maya Renderman) ? I'm completely new to it but it looks very interesting. I would love to try you're algorithm. Where did you get this arcane random function? I know maybe it's not the right place to ask, but do you have any tips/resources where to learn OSL syntax and core concepts? Great to see that the site is up and running again with great competitions! timotheemaron : I would first start by reading the intro in the language specification (quick google will get you there) to get an understanding of what it’s supposed to do, and then look at a few examples of pattern generation in OSL. Pattern generation (basically any shader that outputs a color) is much easier to understand than the closure side of OSL, and all i’m doing here is pattern generation anyway. vvzen The random function is actually a 1dimensional (float) hash function, so it’s not really random. I stole it from some code by Inigo Quillez (the dude that’s behind shadertoy). They use it in glsl to generate noise. Re: OSL syntax/concepts - I recommend reading the language specification! Congratulations for the result achieved with your shader. I'm thinking to implement it in c++ for cinema4d. What do you mean with "taking curve points as an input" ? I see that you are looking for min_distance from the x,y,z list of coordinate and the Surface Point (P) that i guess is the point on the surface hit by ray... but still i don't understand how you detect the "welding zone" from the min distance. Can you explain better how it work? RenatoT Yes, P is the position of the current shading point. Imagine the two scenarios. A point within the welding radius, and a point outside the welding radius. What are the conditions for both? 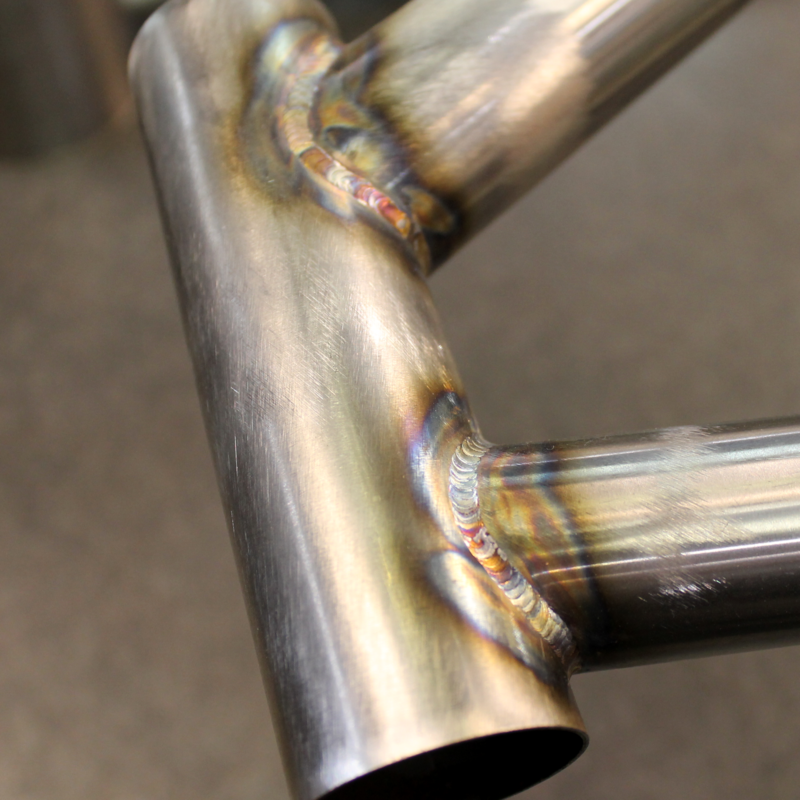 If we disregard the welding overlapping, i am only interested in the closest point. In the simplest case, you can reason that if the distance between the shading point and the closest curve point is smaller than the welding radius, we should displace. If the distance is larger than the radius, no work needs to be done. By saying the shader takes curve points as inputs, that’s exactly what i mean. No other user data is required to generate the effect, only the point positions of the curves. I just embedded them into the code to make everyone’s life easier. Still have to figure out how to pass an array to OSL in the arnold implementation. At start i thought as a some kind of special table. I'm not really pleased about the welding shader, but it's a wip so let's consider this a starting point. EDIT: Whoops! I didn't read properly and I didn't see geometry was not allowed. The welding is actually geometry created in SOP in houdini , I basically paint over the surface, extract the painted points, make their normals point outward, offset them based on normals, convert them to vdb for a nice organic look and finally then remesh them. In this way everything is procedural but I've still got the artistic control on where to place them. Shading-wise is nothing too advanced, a bunch of procedural noises (using rest position) in order to break the roughness of the metal, then a roughness and color texture for the base metal (are textures allowed?) and finally a b/w mask (vertex color * dirt mask) to drive a secondary shader to kinda emulate the welded burn look. Still lots to do, but it was fun!